As 2018 comes to a close, we are so grateful for all that you have helped us accomplish here at Hope. 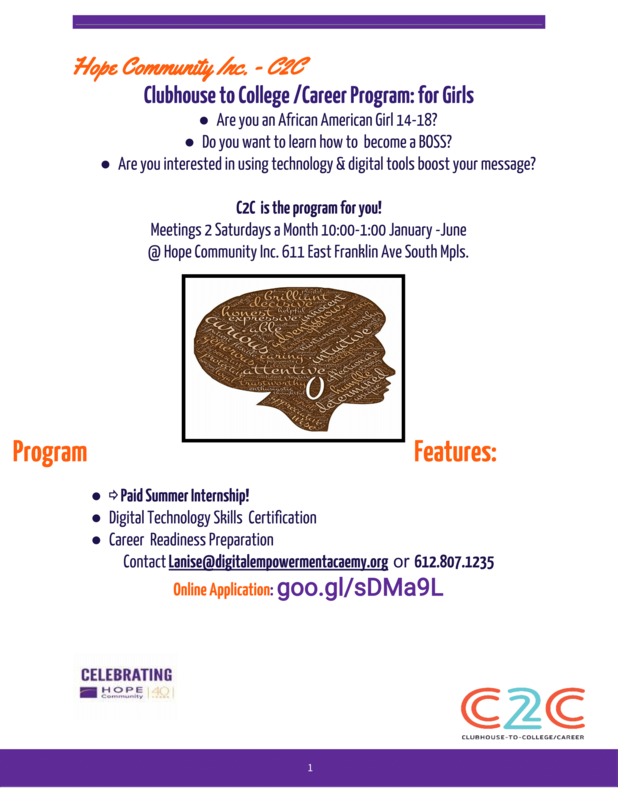 Please enjoy our 2018 Year End Newsletter! 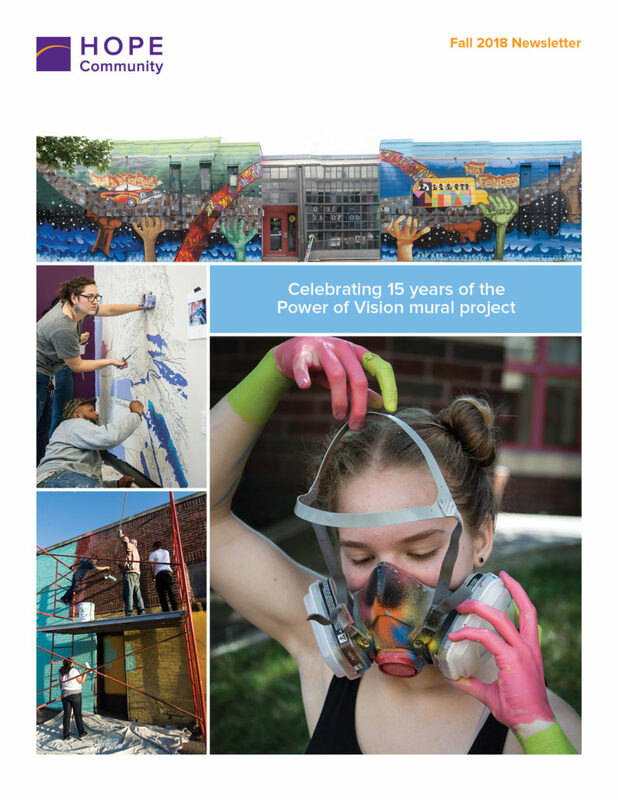 Policy, and Power program, the Power of Vision (POV) mural project (est. 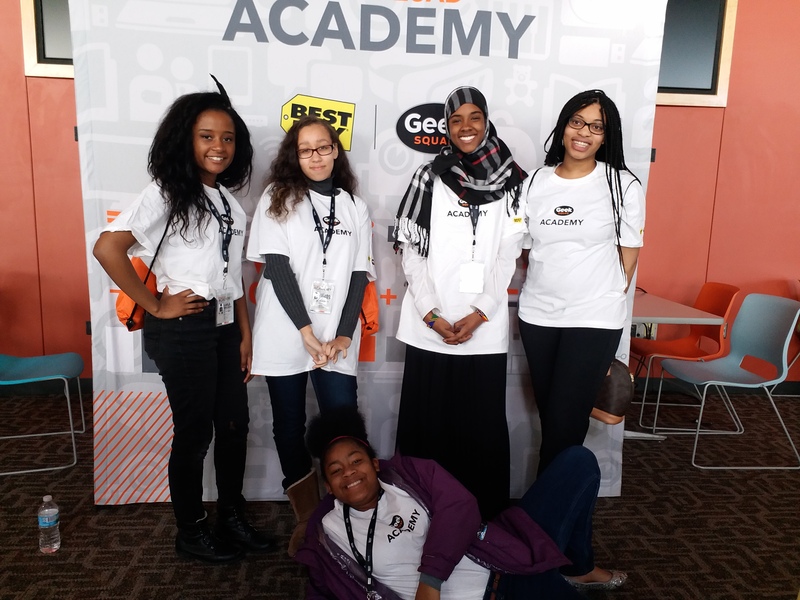 building art skills, leadership, and relationships. assets already found within the neighborhood and the community. Your investment in Hope is an investment in the power of community. 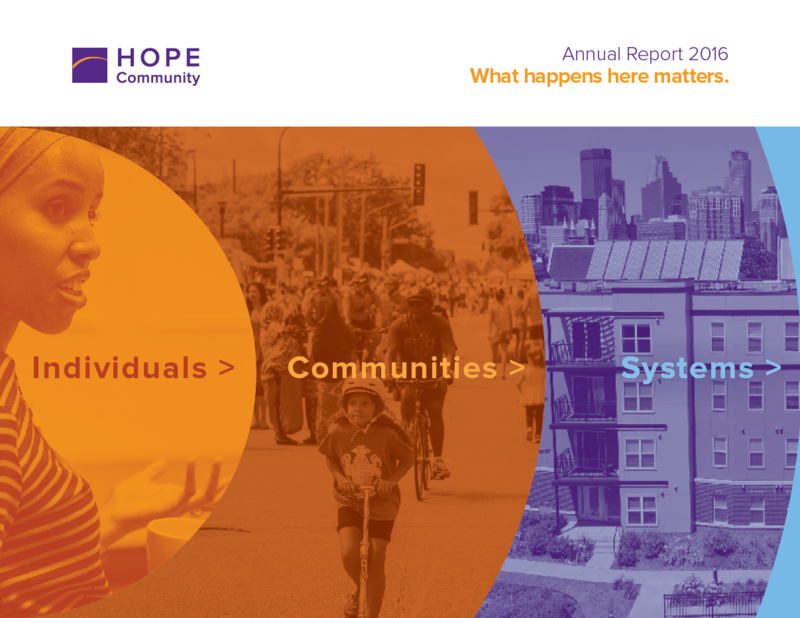 Hope’s approach is to build on the existing power of community and to focus our work on what we hear from community. 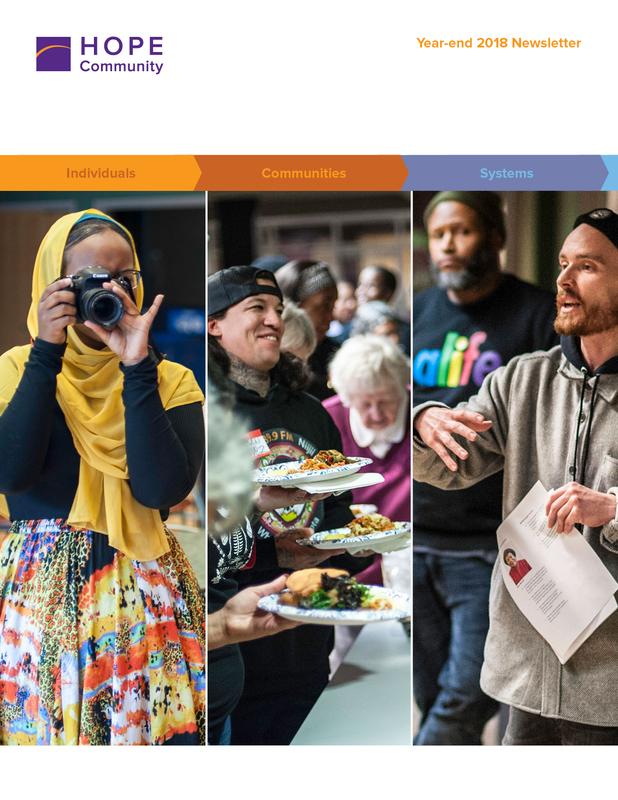 It is intentional, complex, and strategic and creates space where people can be part of a community where they can connect with others, learn together, and build the future they want to see. 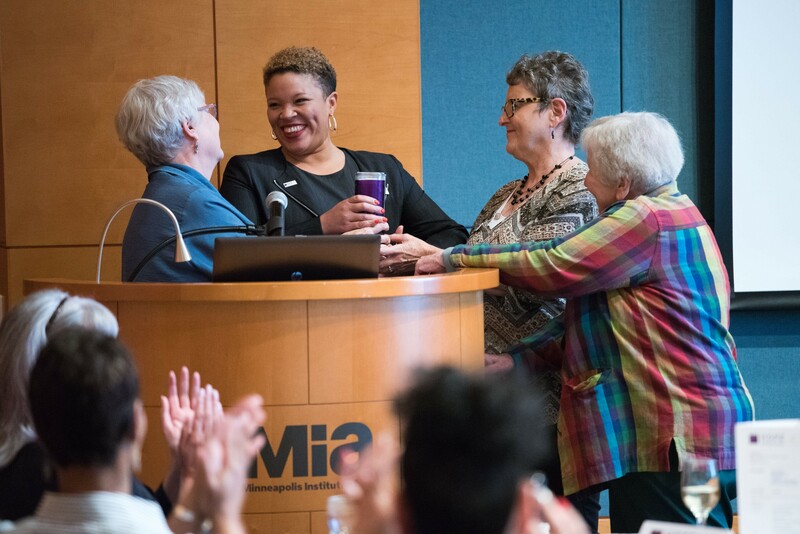 We are grateful for your belief in, and generous support of our work. 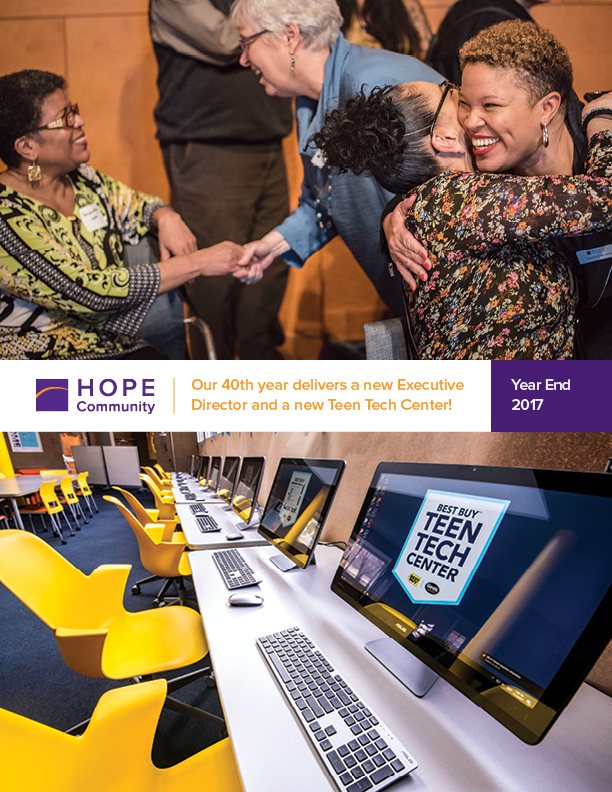 Please Enjoy our 2017 Annual Report! 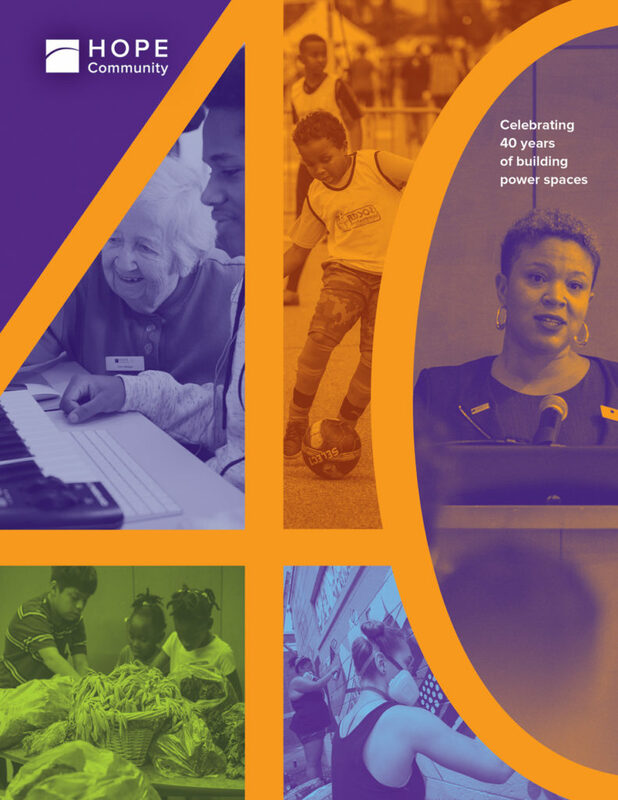 Our 2017 Annual Report celebrates our 40 years of building power spaces, while highlighting what we have done and what we’ve learned about our work over time: it’s not what we do that makes us successful, it’s how we do it. Thank you to our community of supporters. 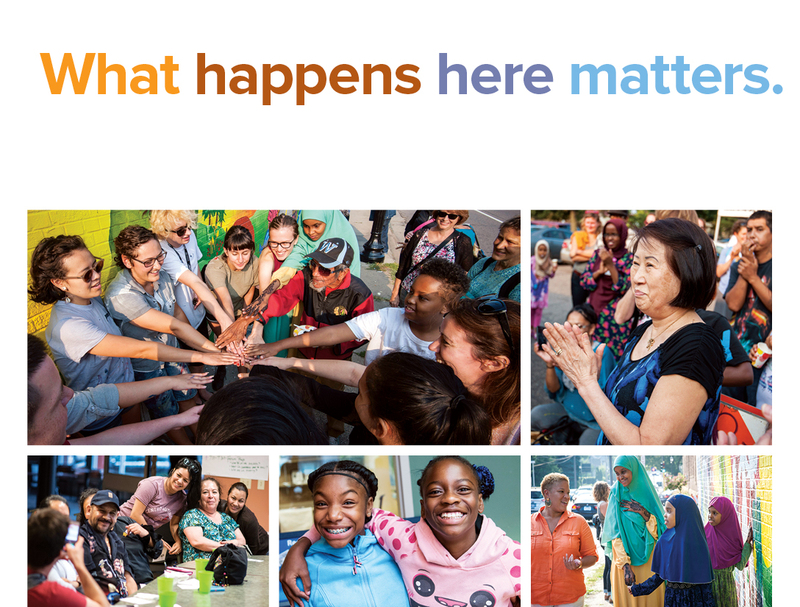 Together, we are building a stronger community, city & future. Here’s to Another 40 Years of Hope! 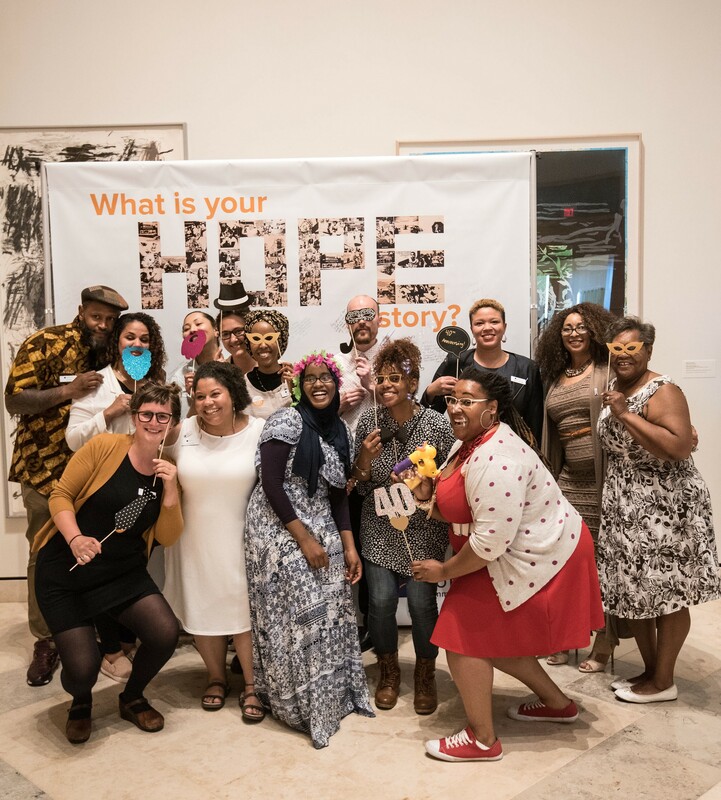 The Staff and Board of Hope Community are so appreciative to all who joined us on Saturday, May 19th, for our final 40th Anniversary Event! 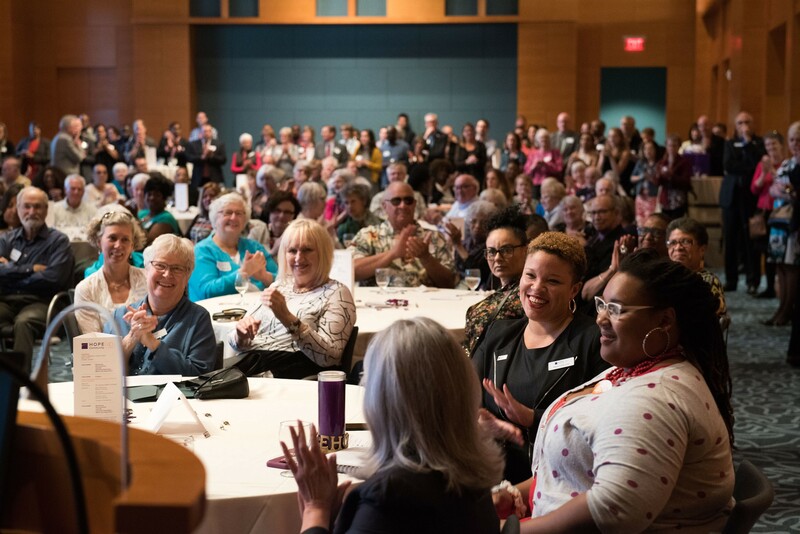 Joined by over 150 of our community of residents, program participants, funders, donors and partners, we explored Hope’s Campus, connected with some of the many people who have shaped Hope over the last 40 years, and built new relationships as we enter a new era. During our 40th Anniversary Open House, we were honored to unveil our newest video in our #40Stories of Hope Campaign. 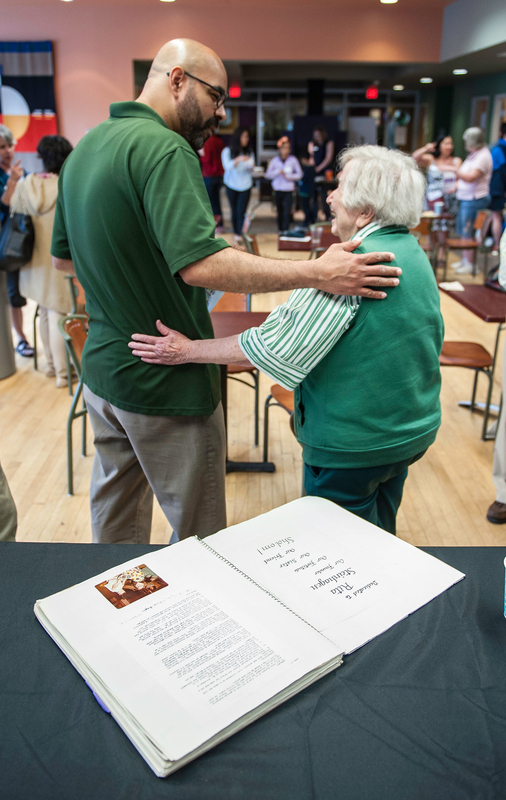 This story embodies the legacy of Hope & our commitment to our community. If you missed the program, or just want to see the wonderful video again, you can find it below! A very special thank you to our friends at Line Break Media for producing this powerful piece. Here’s to Another 40 Years of Hope! !